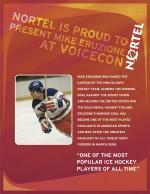 Direct Sportslink has secured Mike Eruzione for many speaking engagements and appearances. Nortel Networks was in search of a popular name that would resonate well with their trade show guests. An Olympic hero, Mike was a great selection - signing autographs and taking pictures with all the trade show guests. A Mike Eruzione personal appearance, Mike Eruzione speaking engagement, or Mike Eruzione endorsement will reflect well on your company. To hire Mike Eruzione now for any corporate appearance, fundraiser, motivational speaker event, personal appearance, autograph signing, or website endorsement please contact our celebrity agents at 1-877-6-SPORTS. We will contact Mike Eruzione or contact Mike Eruzione's agent and provide you with the booking fees and availability immediately upon your request. Direct Sportslink is the only sports speakers bureau and talent booking agency based in the United States securing only sports talent for corporations, associations, and organizations for motivational speaking engagements, personal appearances, and endorsements. We are the premier sports celebrity booking agency and a sports celebrity procurement expert. Accordingly, we will provide you with any relevant Mike Eruzione website information and booking agent details so that you can hire Mike Eruzione for your next event. Mike "Rizzo" Eruzione is a former ice hockey player who was the captain of the 1980 Winter Olympics United States national team that defeated the Soviet Union in the famous Miracle on Ice game. Eruzione was born in Winthrop, Massachusetts. After attending Berwick Academy, Eruzione starred for Boston University, averaging over twenty goals a season for four years. Eruzione also played for Team USA at the 1975 and 1976 Ice Hockey World Championship tournaments. He then moved on to the Toledo Goaldiggers of the International Hockey League, winning the rookie of the year award in 1978 and leading the team to the Turner Cup championship in that year. After his second year in Toledo, Eruzione, who played forward, was named the captain of the Olympic team, scoring the winning goal against the Soviets and helping the Americans win the gold medal against Finland. Eruzione retired from competition after the Olympics, despite contract offers from the New York Rangers, stating that he'd reached the pinnacle of achievement already. Eruzione then became a television broadcaster, grabbing the microphone at Rangers and New Jersey Devils games, and going on to comment at five Olympic Games, working for both ABC and NBC. Eruzione returned to his alma mater of Boston University to be the assistant coach for the hockey team for three seasons. 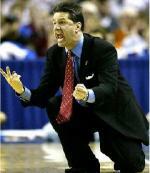 Mike is active with motivational speaking engagements and personal appearances. He is an avid golfer and enjoys playing in the celebrity golf tournaments. 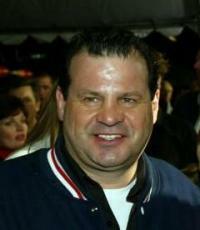 Based on your interest in Mike Eruzione as a speaker or for a personal appearance, Direct Sportslink has provided you additional links below for other sports talent with similar appearance fees, speaker topics, and categories that match Mike Eruzione.